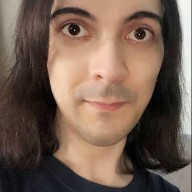 Discussion in 'Egalitarian Christians' started by joymercy, Apr 16, 2019 at 1:55 AM. 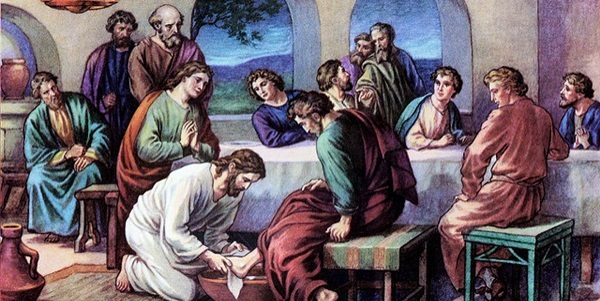 No woman was one of the 12 disciples at the last supper, but this Thursday, the priests will gather for the Holy Thursday service, and I have been chosen to represent my rcia class, and to be among the 12 who will get their feet washed. I'm told that this is something new, that the church would allow a woman to be up on the alter, among the 12. I am honored and also so humbled, scared, nervous and weepy too. I think I will wear a skirt to represent my gender, with footless tights and a slip on shoe. Do you think Mary Magdalene was at the last supper? Was she a disciple too? What do you think of this new strategy of allowing women to be represented? Anyone else, male or female have this done and how did you feel about it? Well... none of the gospels tell us who was in the room. I mean, they give us a few names; Peter, Judas, the disciple whom Jesus loved. But they don't give us a roll call, and we don't know how many were there, or who they all were. I've been on both sides of the liturgy; having my feet washed and washing others' feet. My emotions about it are really complex. The last couple of years I've found myself struggling with our hypocrisy; we will undertake a ritual action, but how often have we failed to bend to meet the needs of the hurting and vulnerable; especially those hurt by the church? May the Lord guide you! I am not familiar with this practice. What is an egalitarian Christian? It's a Western Christian tradition that occasionally pops up around Easter/Pascha time. It's meant to emulate Jesus' compassion for the poor as it's something he did. I know the Catholic Pope has done it to homeless people in Rome. I put it here to reflect the change from allowing only men to get their feet washed to allowing women as well. I like the change in the rules. 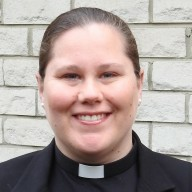 I almost want to wash my priests feet with my long hair, but that would not be the time. Can you just imagine the humility of God himself, washing your feet? It's more than emulating compassion for the poor; it's about bringing into the liturgical experience, something of what Christ was trying to share with his disciples in John 13.
but how often have we failed to bend to meet the needs of the hurting and vulnerable; especially those hurt by the church? I've been very scared about actually joining and the headlines cause me to fear much. But I think seeing my priests kneeling down before me and washing my foot will be very deeply moving as well as reassuring to me, as they have not done anything. Judas was there, and I wonder if this was after he betrayed him? did jesus then wash the feet of the one who betrayed him? Yes; Judas left after the washing of the feet. What that moment between them must have been like; what Jesus felt; what Judas felt; I can't imagine. 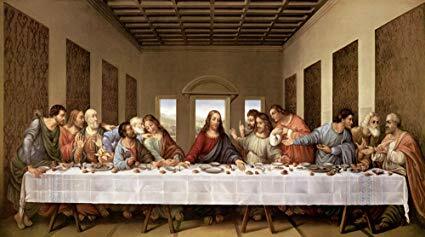 when we look at da vinci's painting, there is a huge space seen no where else at that table at the right hand of jesus. Was Mary there, but removed? Who was at jesus right hands side?! so jesus knew as he was washing judas feet what he was about to go and do? do you happen to know why this was called the upper room? or do I have that name incorrect? do you think that I should wear a long skirt like the women of the day? I have a lovely plain black skirt I wanted to wear, but also black trousers too. I am going to feel a little bit intimidated surrounded by men: priests, deacon, seminarian, and other men getting feet washed. It seems Jesus knew, because if you read that chapter, you can see the foot washing, then he predicts that one of them will betray him, then Judas leaves. You can see it called the upper room in Mark 14:15. I think just be practical; don't wear things that are fiddly to get on and off (lots of buckles, or stockings). Don't be ashamed of your feet. The point is not whether your feet are ugly, but whether you deserve to be loved. And you do. isnt that the bomb? to realize you deserve to be loved! it will be mind blowing, as these Holy Week experiences all are slowly telling the passion story. I have a serious interest in the empty or negative space on jesus right hand side in da vinvi! I am in love with the idea that Mary was there. Who else do you guys think was in the room? incredible! He knew he was being betrayed, washed Judas feet anyway, and then commanded us to love one another! It's even more impressive when you consider the fact that God literally could have been incarnated as anybody, yet he chose the lowest and poorest levels of society.